Televisions – got to love em’ right? Although many of us may or may not be a huge fan of watching TV, there are also some of us who can’t get enough of it (I am addicted to Food Network myself). Regardless if you are an avid watcher of TV or not, you may still have your own preference on brand, size, etc. You may be one of those individuals who like to have the 50+ inch TVs in your living room or man cave; however, you may prefer to have a smaller one for the bedroom, kid’s room, or even the kitchen. That’s where I come in- we are going to check out some of the best (and affordable) 32-inch TVs of 2018. Hopefully the TVs reviewed below will help you on your quest to select the best option for both your home and your wallet. Let’s get started! 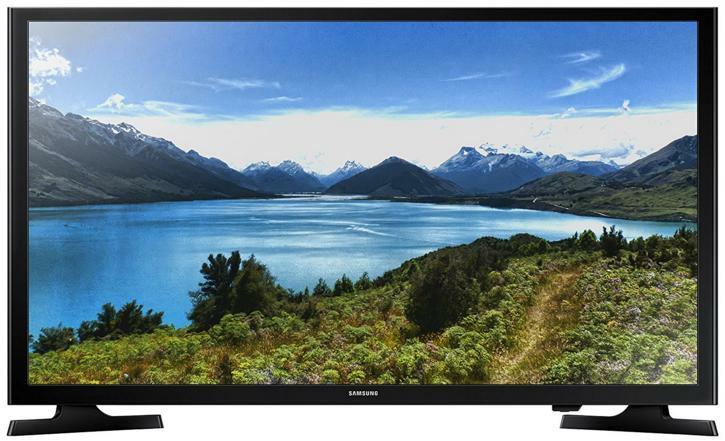 Samsung UN32J5205 32-Inch 1080p Smart LED TV (2015 Model) 32-Inch Smart TV 2 HDMI, 1 USB. 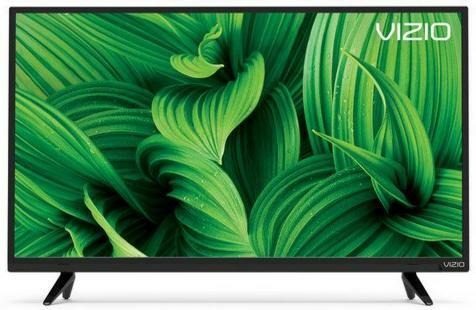 The Vizio 32-inch is only $160 on Amazon (and that also includes free shipping); it comes equipped with a full-array LED backlight, meaning that that it efficiently distributes LEDs behind the whole screen for the purpose of providing the viewer with amazing light uniformity and vivid picture performance, for the ultimate viewing pleasure (i.e. high definition TV with awesome clarity). The Vizio also comes with two HDMI ports that makes it ideal for connecting the devices of your choosing, as well as a USB multimedia port so you are able to enjoy pictures, video, and music right from the comfort of your screen. A positive of the Vizio 32 inch TV is that it is Energy Start efficient, meaning that it is more efficient that the traditional TV, thus saving you some major money in the end (because no one like a tremendous electric bill). The pixilation of this TV can be a bit off at times, only after a short time of use; the sound has also gotten wacky only after a couple of months which is a huge bummer. The Sceptre 32 inch TV is incredibly affordable, costing no more than $110.00 on Amazon, regardless of the seller you decide to go with. 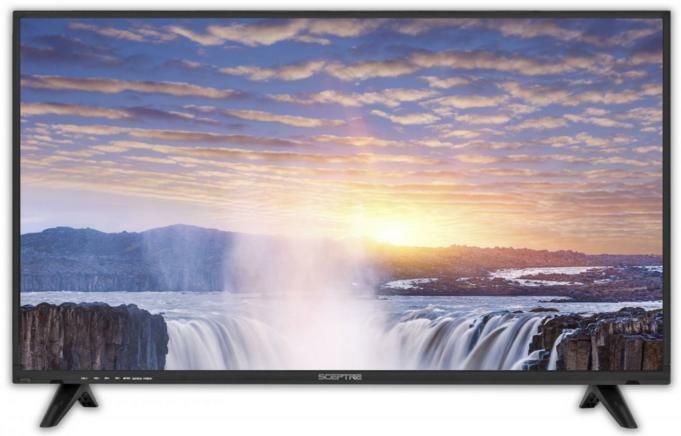 The features of the Sceptre include: ATSC and NTSC, with clear QAM; high-resolution 1366×768 720P and two HDMI ports. The Sceptre is also wall-mount ready if that is your preference and has a high contrast of 5000:1. For the price of the Sceptre it is a pretty decent television; it is very easy to set up and also to mount on the wall if that’s your preference. It is definitely an ideal choice for a young individual or just to have something on hand in your house or dorm room. Unfortunately, you get what you pay for – it is very affordable but this is not a TV that you should plan to have in the family for years. The Samsung Electronics 32-inch TV is a tad more expensive than those reviewed so far, costing about $180.00 on Amazon; for those of you who decide to purchase this particular TV you can expect to enjoy an amazing picture with Samsung 720p high definition (HD), an aspect that will make you enjoy all of your favorite films even more; from a vibrant and clear picture to awesome sound- this is certainly a TV that you won’t be wasting your money on! The picture resolution is at Motion Rate 60 which means that it has an awesome refresh rate, backlight technology, as well as efficient processing speed. The sound and picture of this TV is pretty good so it is definitely worth the extra money; it is also very easy to set up and get programmed. $180.00 may be a bit more than you would like to pay for a 32-inch TV so that’s a downside for this particular TV; also the external power supply is a little disappointing because you aren’t able to hide the external power block so it is not all that visually appealing. 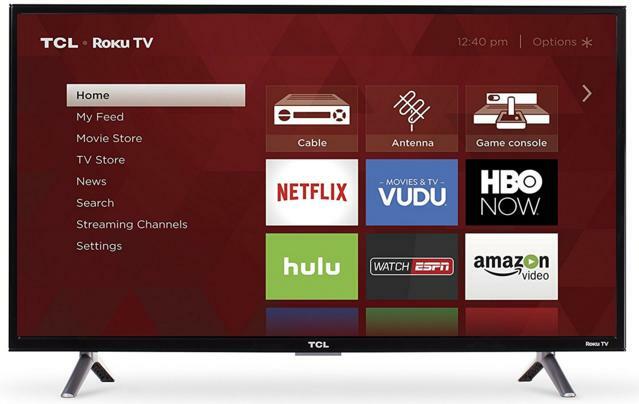 The TCL is averagely priced-$150.00 on Amazon, depending on the seller; it has smart functionality that offers access to over 4,000 streaming channels and also features a whopping 450,000 movies and TV shows via Roku TV which is pretty darn impressive. The dimensions of the TCL are Dimensions (W x H x D): TV without stand: 28.9″ x 17.1″ x 3.2″ (without stand) and 28.9″ x 19.2″ x 7.2″ (with stand). There is 720p HD resolution available for a crisp picture and direct-lit LED for great picture quality. Lastly, the 60Hz refresh rate allows for fast moving action scenes to be seen with minimal motion blur (a huge benefit when checking out those action movies), as well as 3 HDMI inputs, (1 w/ ARC), 1 USB, RF, composite, headphone jack, and optical audio out. The Roku aspect of this TV is certainly a plus, having all of your favorite apps and shows at your fingertips is a major bonus. The sound and picture is also pretty good, especially for it to be so inexpensive. Unfortunately it doesn’t hold out to long, completely losing power only after a short period of time. Naturally, this doesn’t occur 100% of the time, but it definitely isn’t a good thing to purchase a TV that goes out on you only after a couple months. This is the most expensive 32-inch TV that we have reviewed thus far, costing about $250.00 on Amazon depending on the seller (and this is one of the cheaper options). It has a refresh rate of 60CMR, with a LED backlight and built-in Wi-Fi; as with all of the other TVs this has smart functionality and dimensions are 29.2″ x 17.2″ x 3.1″ (without stand) and 29.2″ x 18.5″ x 5.7″ (with stand). 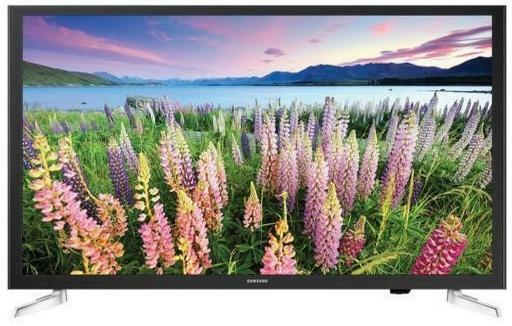 The inputs that come with this particular TV are 2 HDMI and 1 USB port. The TV is very light and easy to mount to the wall; the internal speakers that come with this Samsung are reasonably loud as well, so you will definitely get an adequate amount of sound from them. If you have the Roku feature then you should be fine but the “smart” function of this TV doesn’t really function at all and can be incredibly frustrating to deal with. Even when connected to Wi-Fi, it can lag significantly, especially if you are navigating between multiple applications and programs. Do these TVs come with sleep timers? Yes, most (and probably all) TVs nowadays come with some form of sleep timer, no matter the size. You’ll just have to look to see how to program it but it is simple. Do they all come with Wi-Fi? No, not necessarily; a lot of TVs now do have smart connectivity, however, this is something you may just want to double check on if this is an option you are looking for. All in all, these TVs have mixed reviews but I would recommend going with #5 if you don’t mind spending the extra money. Even though the “smart” capability may not be the best, it is an ideal choice if you are looking for an upgrade or just another television to have in the house.